Screen cap redraw from the anime episode, with my own style and additional mood lighting and the character Luna. Created for the January 2016 Sailor Moon Café at Hanamizuki Cafe in Midtown, NYC. 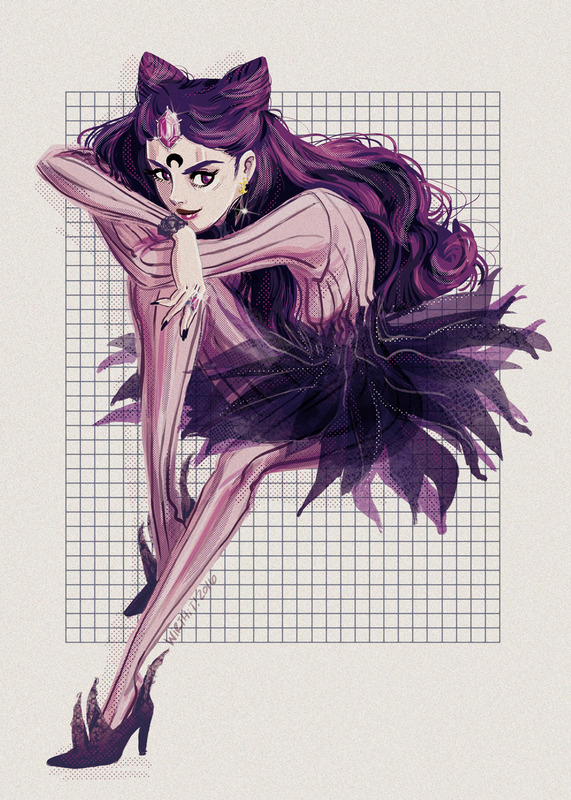 Wicked Lady (aka Black Lady) redrawn as a bōsozoku leader. Koan (aka Catzy or Catzi) of the Spectre Sisters from the Black Moon Clan. "The Guardian of Fire and Passion, Sailor Mars! You will refrain from underestimating women! And with Mars Power, you will burn! These high-heeled legs will deliver your punishment!" 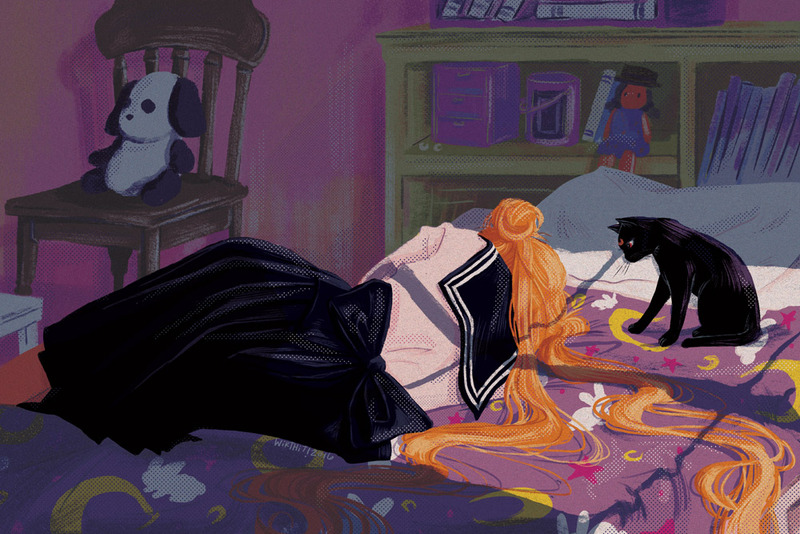 Happy Birthday to Tsukino Usagi-chan (June 30).